Join BSU President Faith Hensrud, university staff, alumni and friends on March 9 for the Alumni & Foundation’s annual Arizona events in Mesa. Later, an alumni social and Beaver Hockey viewing party will be held at R.T. O’Sullivan’s Bar & Grill in Mesa. The social begins at 5 p.m. and the game begins at 6:07 p.m. No registration is required. On April 4, Bemidji State University is rolling out its inaugural day of giving, “Back to Bemidji State.” The 24-hour, $100,000 campaign will reach out to alumni, faculty and friends of the university to pledge their support for Bemidji State’s Lakeside Fund, which provides scholarship support to students and funding for presidential priorities on campus. The campaign aims to celebrate achievements of alumni over BSU’s history with a $100,000 fundraising goal for BSU’s 100-year anniversary. Alumni are encouraged to keep a close eye on Bemidji State’s websites and social media accounts for more information as April 4 draws near. The BSU Alumni & Foundation Board of Directors elected new officers at its Oct. 5 annual meeting in Bemidji. Newly elected officers are: president, Tom Anderson ’70, CEO, Integrated Retirement; president-elect and planning and development committee chair, Cynthia Cashman ’85, executive director, Minnesota State Fair Foundation; treasurer, Tiffany Baer Paine, president/CEO, Security Bank USA; executive committee member-at-large, Elise Durban ’01, transit-oriented development program manager, Hennepin County. Peggy Ingison ‘74 is the outgoing president. 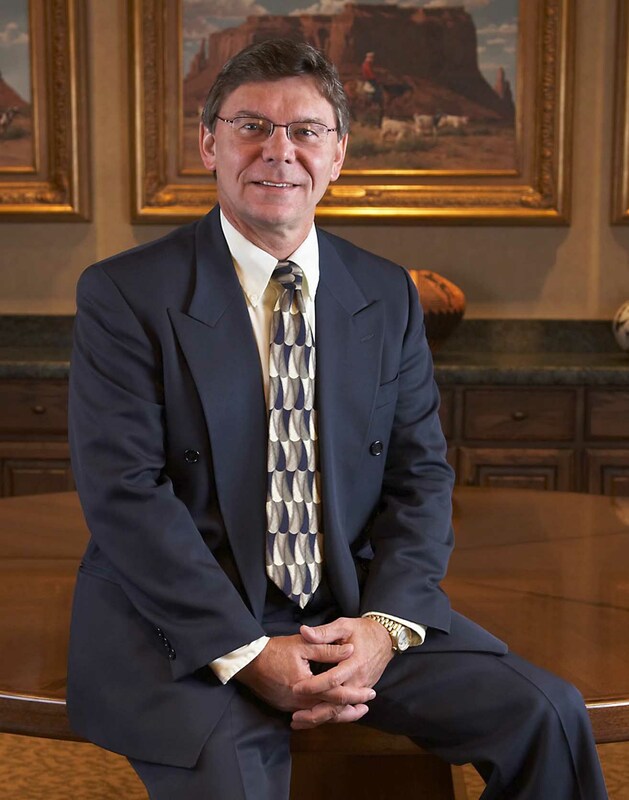 The board elected Doug Fredrickson ’10, vice president of strategic initiatives, Blattner Energy, as a new member. First-year, returning and transfer students who are relatives of contributing alumni may apply for an Alumni Relative Scholarship for the 2019-2020 school year. The program provides a limited number of $1,000 scholarships to attending students with relatives who have contributed $50 or more to the university by Feb. 1. The scholarships are made possible by donor contributions to BSU’s Lakeside Fund. Apply at www.bsualumni.org/AlumniRelativeScholarship or call the alumni office at (218) 755-2762. Alumni & friends gather at Poncho and Lefty’s in Brainerd for a Minnesota Wild watch party on Feb. 21. 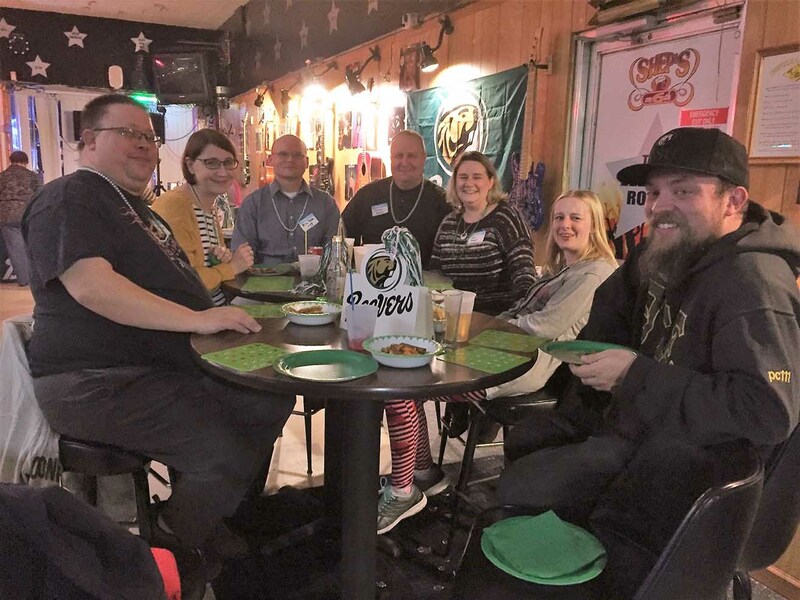 The BSU Brainerd Lakes Alumni Chapter hosted a Nov. 15 game night at Shep’s on 6th in Brainerd. 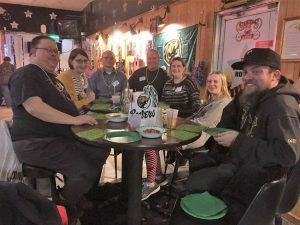 More than 25 alumni enjoyed the company of their fellow classmates while playing bingo, answering trivia and winning a variety of Bemidji State merchandise. All BSU alumni, friends and family are invited to a taco bar and Minnesota Wild viewing party event, scheduled for Feb. 21 at Poncho and Lefty’s in Baxter from 5–10 p.m.
Stay informed about future chapter events by joining the BSU Brainerd Lakes Alumni Chapter group on Facebook. Alumni who have changed jobs or their names and those who have multiple or seasonal addresses are asked to update their contact information by visiting bsualumni.org or calling (218) 755-3989 so you can stay up-to-date on news and events.